Boils on the skin appear as hard, red and painful lumps, and are caused due to the release of toxins in the body. They are a bacterial skin infection that occurs on hair or sweat glands or areas on the body which are exposed to a lot of friction. People who have a suppressed immune system are more susceptible to develop these. Natural home remedies such as the use of Epsom salt is one of the best remedies for treating boils without any side effects. Does Epsom Salt help to treat Boils? It acts as drying agent that brings the boil to a head and draws out the toxins along with reducing the pain. It has natural antiseptic and antimicrobial properties that fight against the bacteria. It effectively absorbs the moisture from the boil infected area and thus helps for quick drying out of boils. It enhances the immune system to prevent skin abscess and its recurrence. It has an antibacterial property that protects the skin area from secondary infections. It is an astringent that draws out the pus and other impurities from the boil. The heat generated by Epsom salt will increase the blood circulation, draws pus to surface and encourages the body to focus on boil affected area. An Epsom salt bath releases the toxins and other metabolic wastes by increasing perspiration. Fill a small tub or basin with warm water and add 2 cups of Epsom salt and stir. Soak the boil infected area for about 10 – 15 minutes and let it dry naturally. 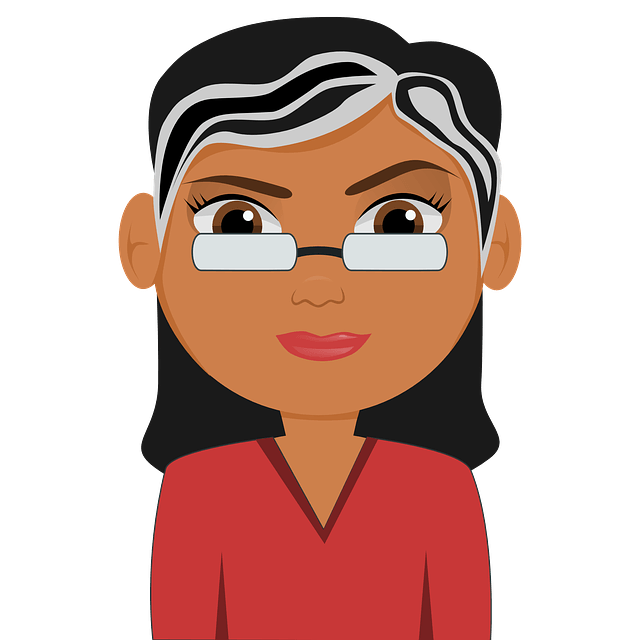 Continue the process 2 – 3 times daily. Note: Use Dead Sea salt for more benefits. This method is effective to treat open boils. Mix 1 cup of Epsom salt in 8 cups of hot water and submerge the boil. If it is an awkward position, soak a washcloth in this solution and press it against the boil. Add 2 teaspoon of Epsom salt in 2 cups of warm water. Stir well and soak a clean wash cloth in it. Wring to remove excess water and place the cloth over boils. Or dissolve 1/4 cup of Epsom salt in 2 cups of warm water and use this as a compress. This bath helps to heal boils on skin that you’re unable to reach like thighs, buttocks, neck and cysts. Add 2 cups of Epsom salt to hot water in a bathtub. Soak yourself in this bathtub for about 15 – 20 minutes. Wrap a cool, wet towel around the neck while taking the bath, then have a cold shower. Avoid using soaps and repeat 2 – 3 times a week. Mix 1 – 2 tablespoons of Epsom salt in warm water. Apply this thick paste over the infected skin. Leave for 10 – 15 minutes and then rinse with cool water. Pat your skin dry and reapply this mix twice daily to get relief from irritation and itching along with boils. Or mix Epsom salt with Crisco and place this mixture on bandage. Tie it on the boils for 15 – 20 minutes before removing. Repeat 2 times a day. Add little bit of water to a handful of Epsom salts, but not enough for it to dissolve in. Apply this salt paste on the boils and scrub gently for a minute or two. Let it sit for another 5 – 8 minutes before washing off with water. Follow the same process once or twice daily. This combinational process is very effective in treating scalp furuncles or folliculitis. Place this ball over boils and secure with a bandage or medical gauze. Follow this process every day at night time. Apply this mix as a poultice in between layers of gauze. Let it sit for few hours or overnight, securing it with a bandage. Mix 1 large tablespoon of Vaseline in Epsom salt till it forms like a smooth ointment. Apply over the boils and secure with a bandage or medical plaster. Let it sit for overnight and then wash off with lukewarm water. Bring it to a boil, stirring continuously until it forms a thick paste. Add 1 teaspoon of Epsom salt to this milk and stir well. Spread the mixture on a piece of clean cloth and apply on the carbuncles. Secure it with a bandage and leave it on for a few hours or overnight. Do not use Epsom salt if you’re suffering with high blood pressure or severe varicose veins. When the boil has burst, apply a flannel soaked in warm Epsom salt water to disinfect the skin for the next 3 – 4 days. The bacteria can enter into the skin through cuts, sores or bug bites, so heal and cover them quickly to prevent the infection in future as well. MRSA infection are resistant to antibiotics, then using high powered antibiotics can cause side effects in the long run but the usage of Epsom salt as a treatment will help to cure the problem without any. Make sure to stay hydrated and have healthy nutritious diet, don’t get stressed and exercise regularly, etc. to prevent the skin abscess and its recurrence. Regular usage of this salt will not only relaxes the mind and body but also stimulate the circulatory system for proper health. This bacterial infection can be deadly so make cure to consult your doctor, if you have significant swelling, redness or drainage from infection. 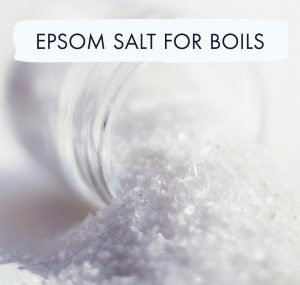 Consult your doctor, if you didn’t find any relief from boils after using Epsom salt why because it can be due any other serious health problem. Do you know any other remedies for curing boils? Have you also tried other home ingredients such as turmeric to treat boils? Then share your experience with us. I have a huge one on my tummy. I hate doctor’s can i send a pic.